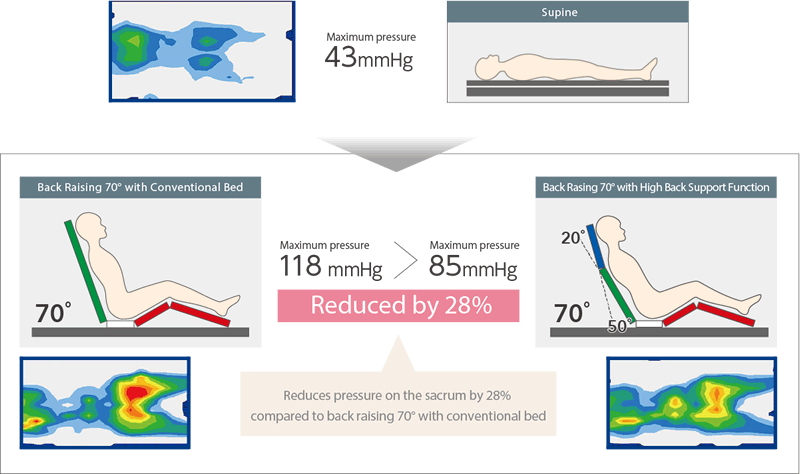 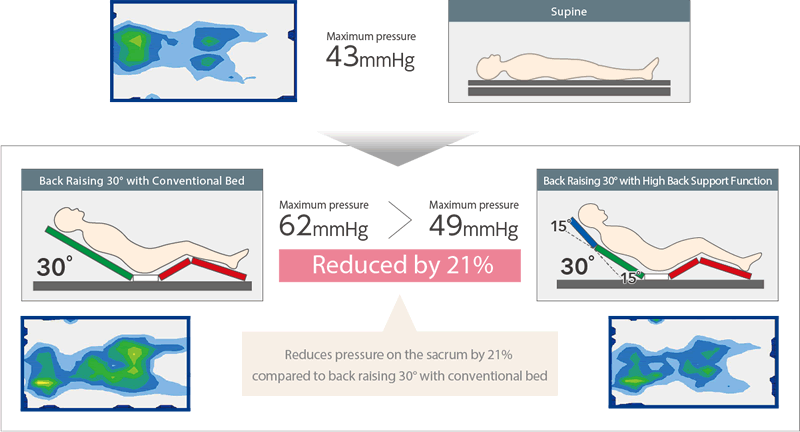 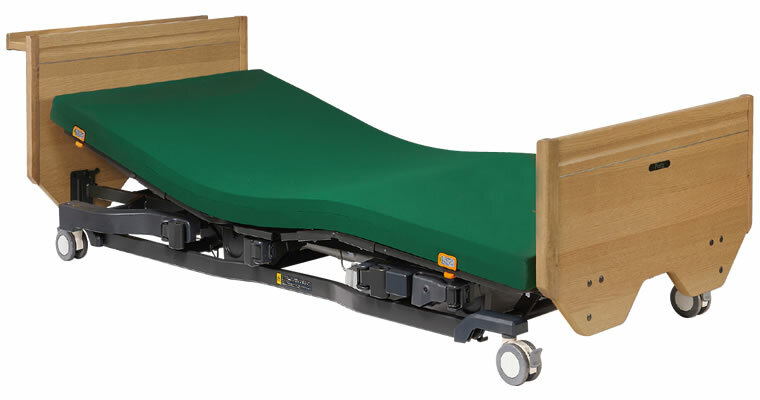 Positioning Bed incorporates the High Back Support Function and Fitting Function at the knees to alleviate shear pressure when lifting the back and provide relaxing comfort. 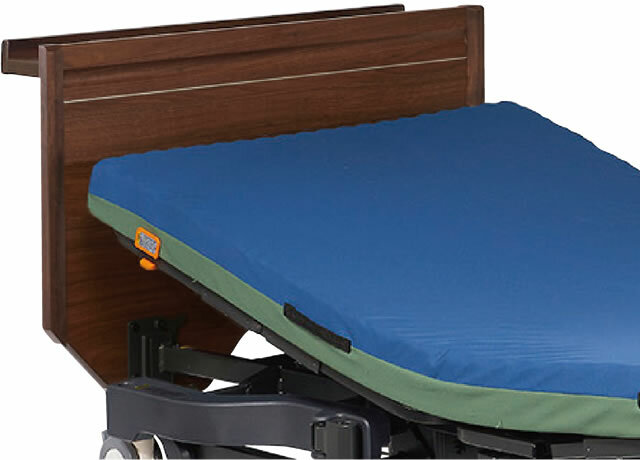 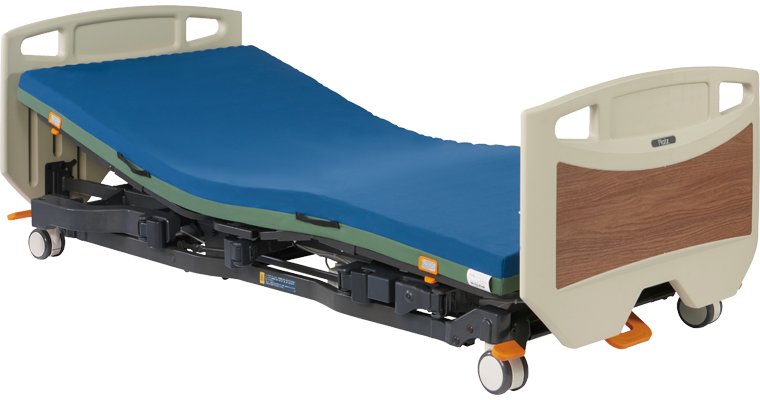 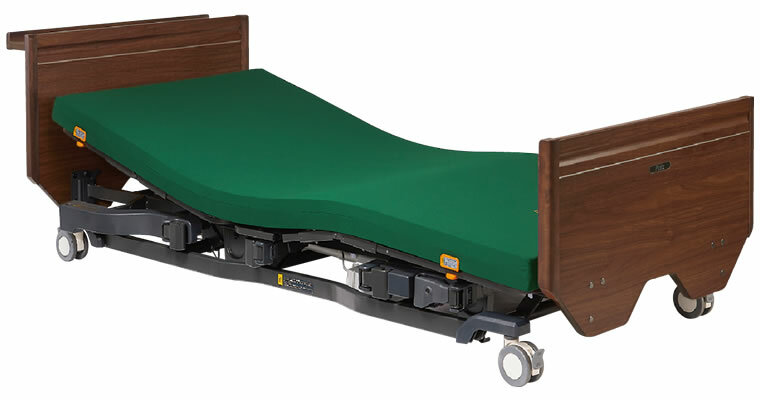 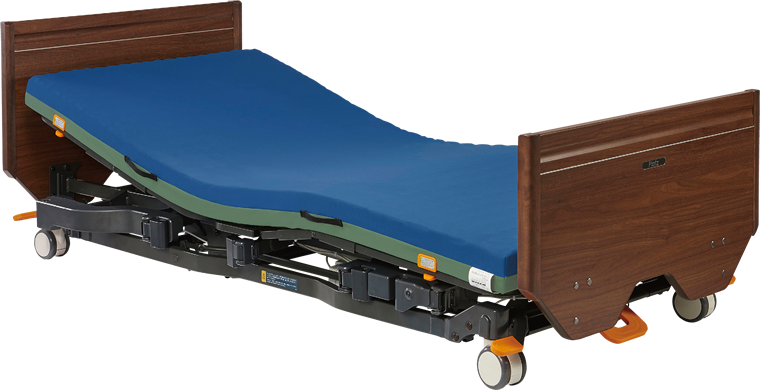 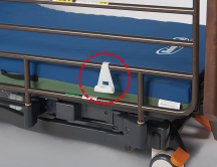 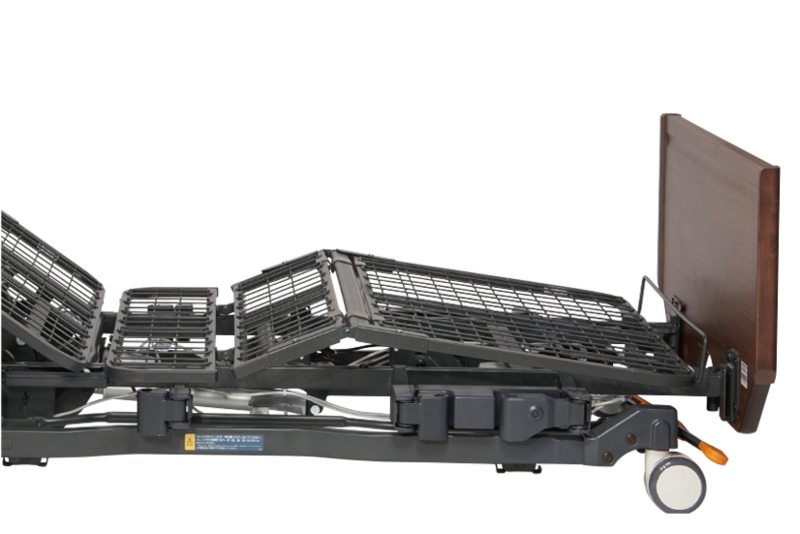 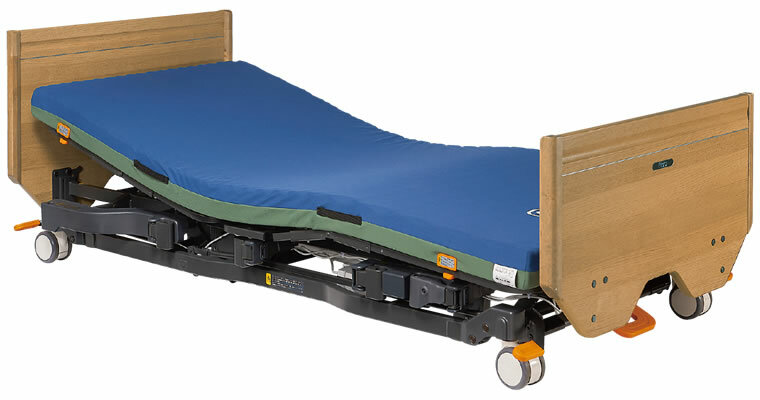 This new electric care facility bed, Ardel Positioning Bed Series improves posture and supports nursing care. 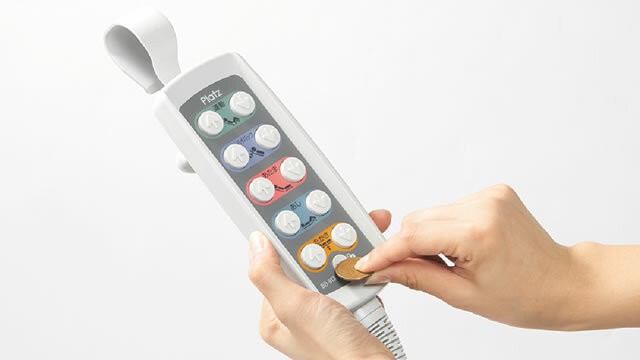 Graduated from the Faculty of Engineering, Miyazaki University. 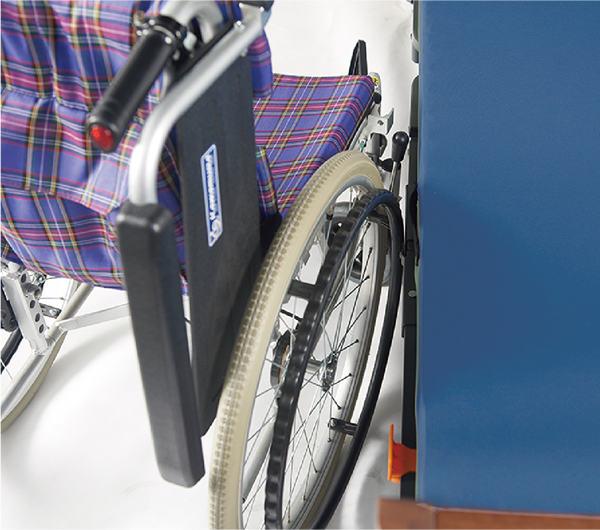 A traffic accident led him to a life using a wheelchair when he was an undergraduate. 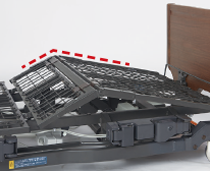 He has been involved in collaborative research and development with many welfare goods manufacturers. 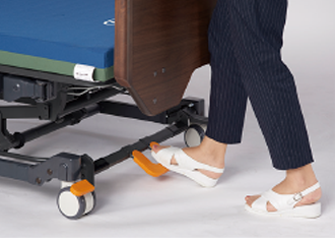 He has also been involved in over 1700 projects for living environment design and supporting living activities for physically handicapped people and over 7500 projects for supportingliving activities with welfare equipment. 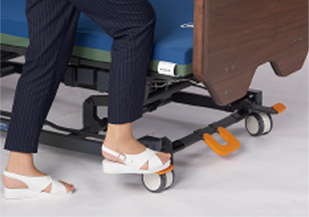 Currently, he is a board member of the Welfare Living Environment Coordinator Association and the Japan Disabled Sports Study Association, the chairman of the Rehabilitation Engineering Society of Japan. 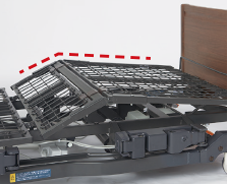 Separating the High back (head to middle back)and low back gives the user the ability to adjust the angle of each section as the user lifts their back. 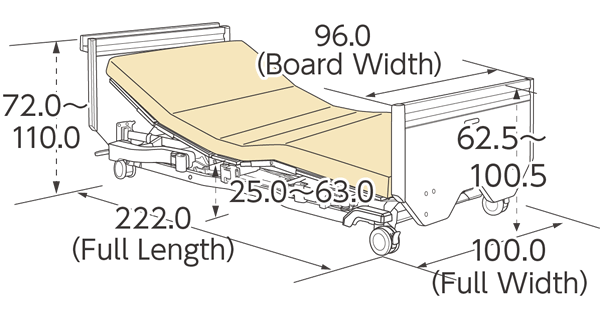 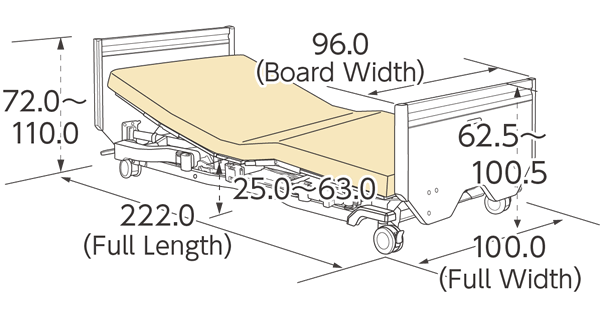 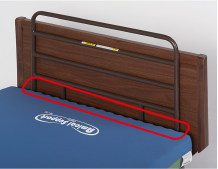 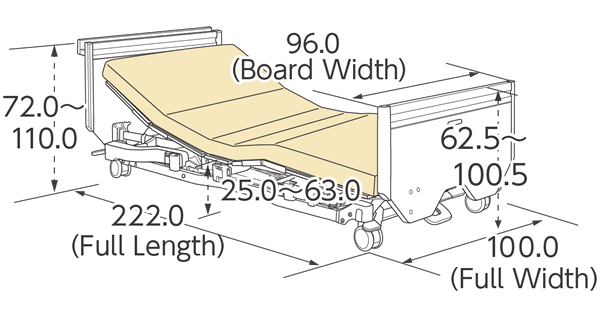 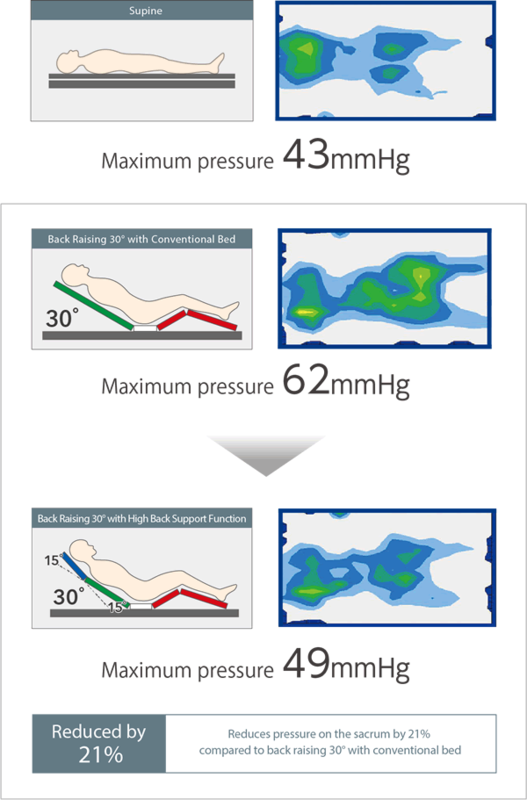 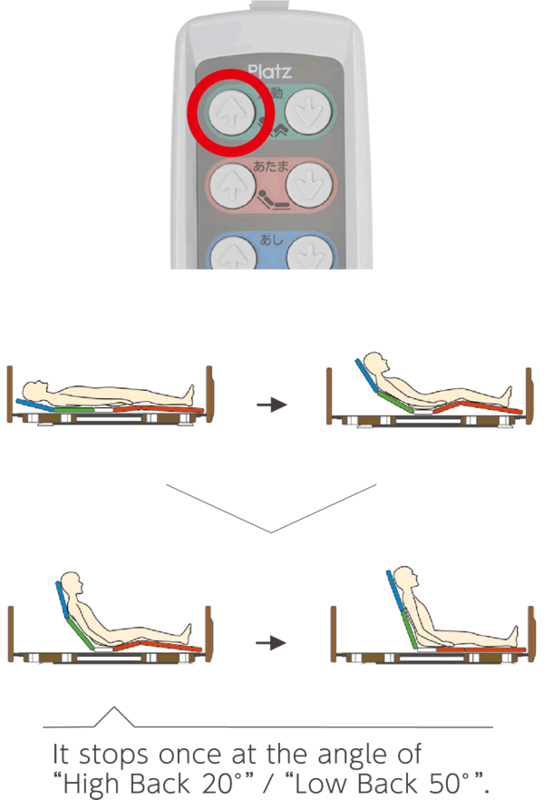 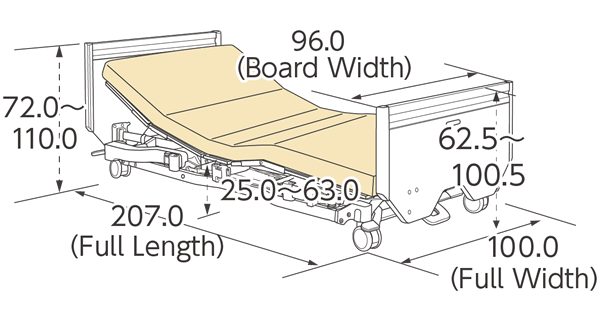 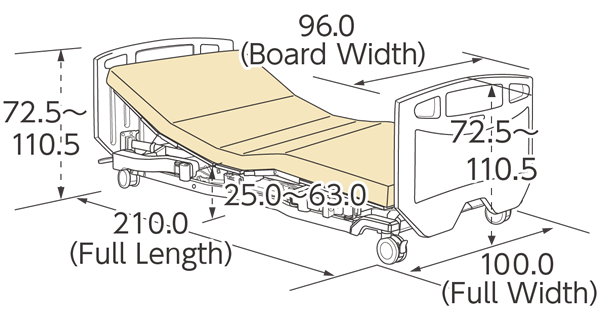 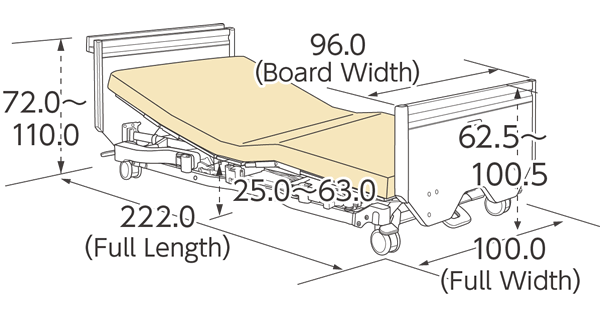 If the user’s knees are not properly positioned over the bending portion of the bed, the user’s body will slide towards the foot of the bed when lifting their back. 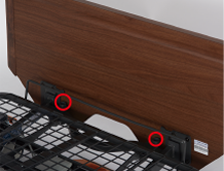 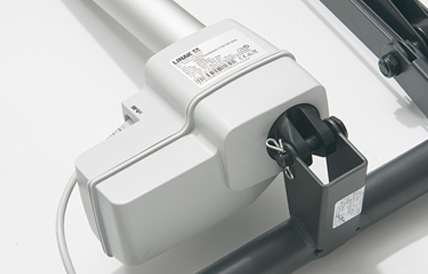 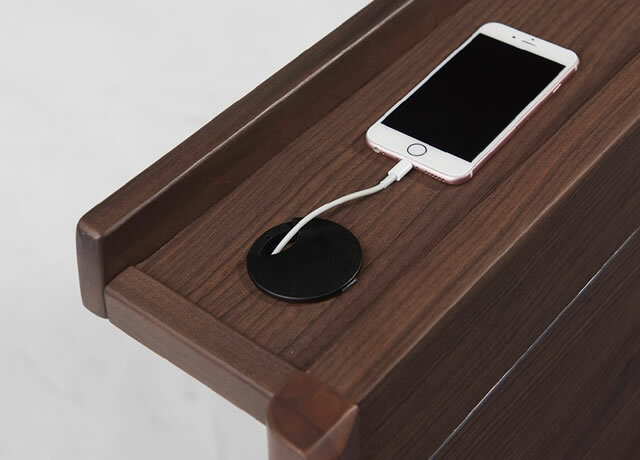 Without having to customize the bed parts, the Ardel has two bending settings to adjust for the length of the user’s thighs, which prevents shifting and losing posture. 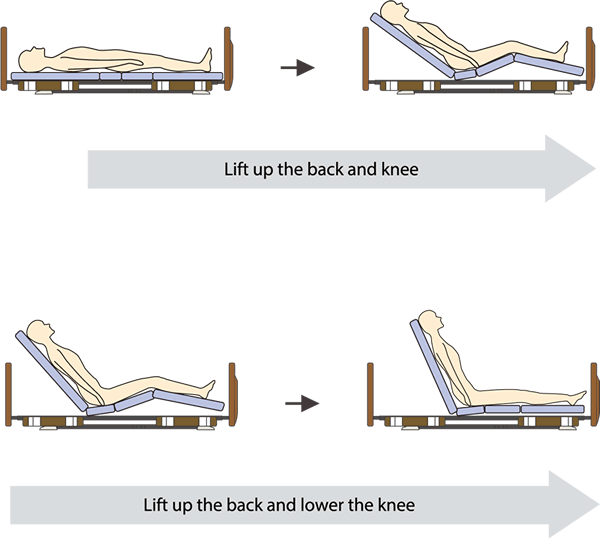 Adjusting the angle of the neck when the back is lifted and reducing abdominal pressure helps with swallowing This helps with dysphagia rehabilitation and reduces the risk of aspiration. 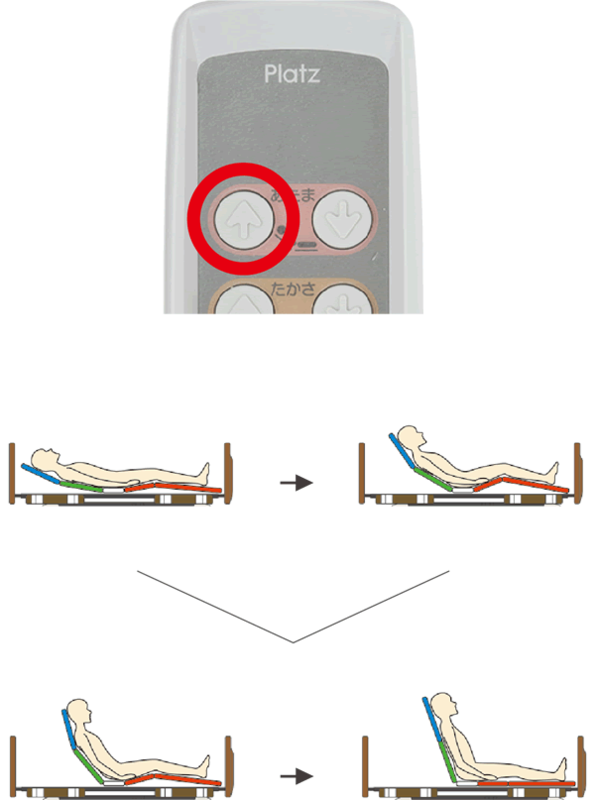 Improving posture by spreading the diaphragm and reducing back and abdominal pressure helps with respiration. 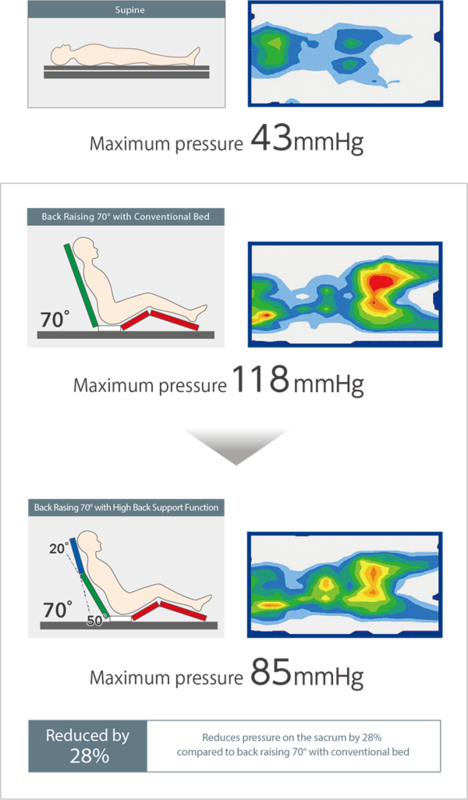 Curving the upper section of the trunk also reduces force oncirculatory organs. 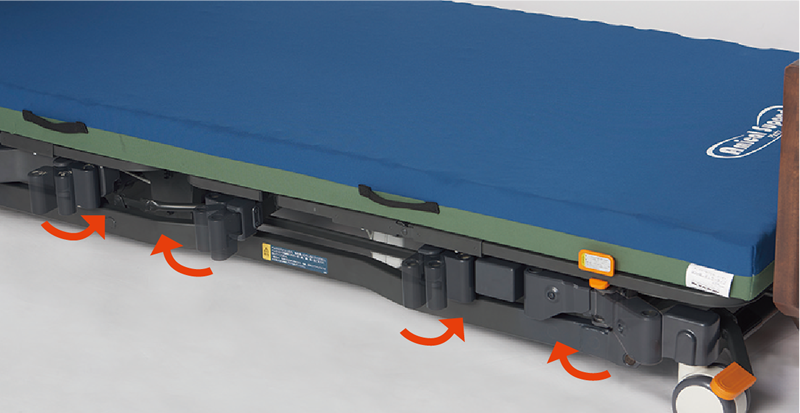 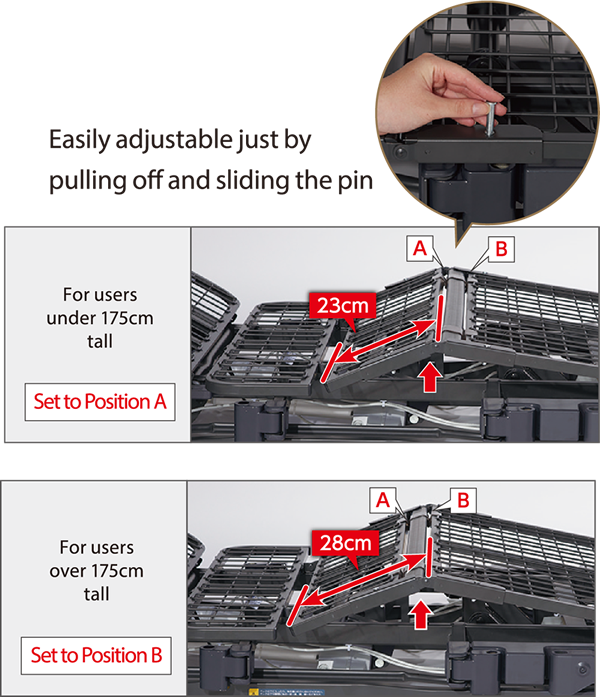 Controlling the angle of the high back support helps improve their positioning when the back is lifted This alleviates shear force when lifting the back and provides comfort. 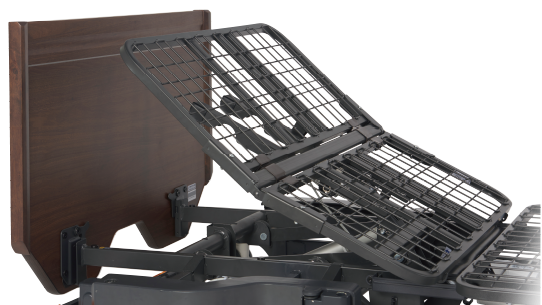 Find your ideal reclining position with the press of a button to control the angles of the low back, high back, and knees. 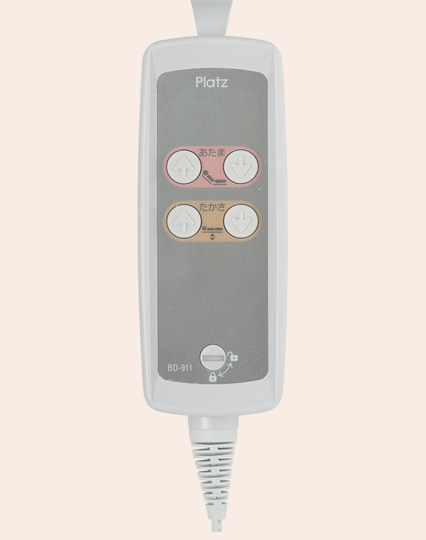 This reduces pressure on the abdomen and alleviates shear force. 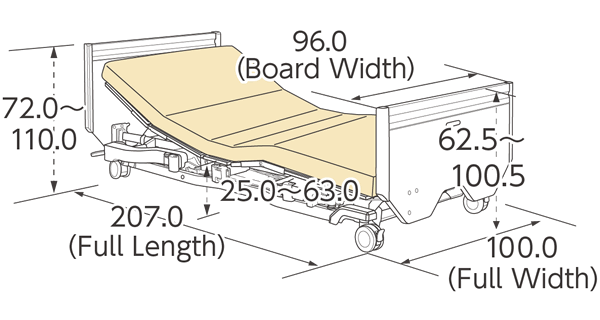 Headboard with space type has a convenient space to put a tissue box, glasses and other articles. 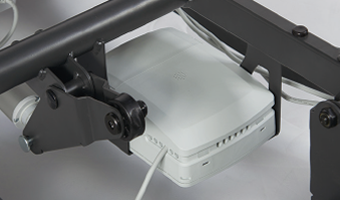 The double hold mount makes it easier for people with paralysis, rheumatism, and a weak grip to grasp. 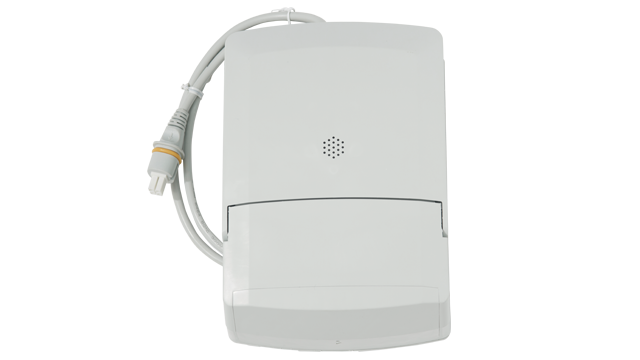 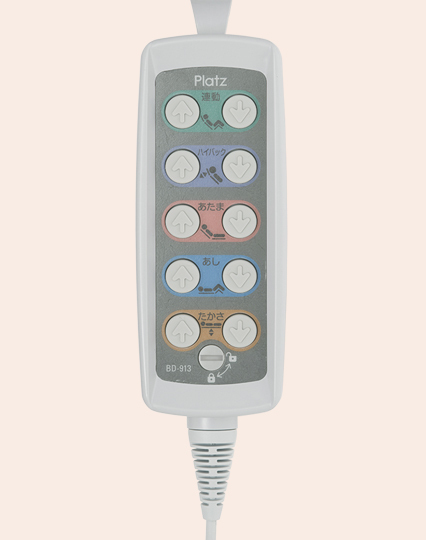 An opional battery unit available to power the bed during a power outage or for locations with no electricity. 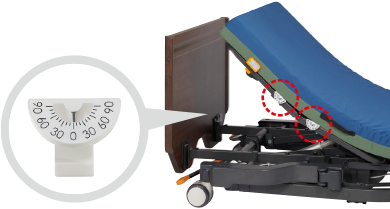 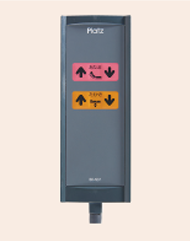 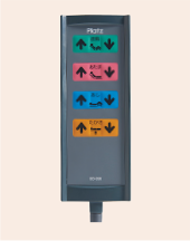 Find your ideal reclining position with the press of a button to control the angles of the back, and knees. 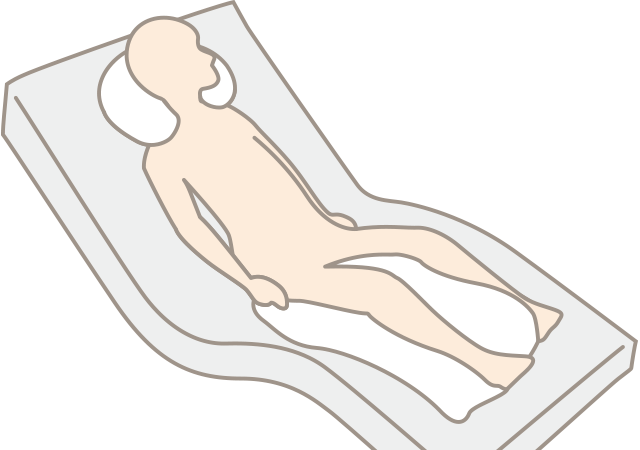 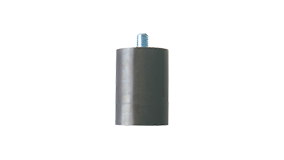 This reduces pressure on the abdomen and alleviates shear force.